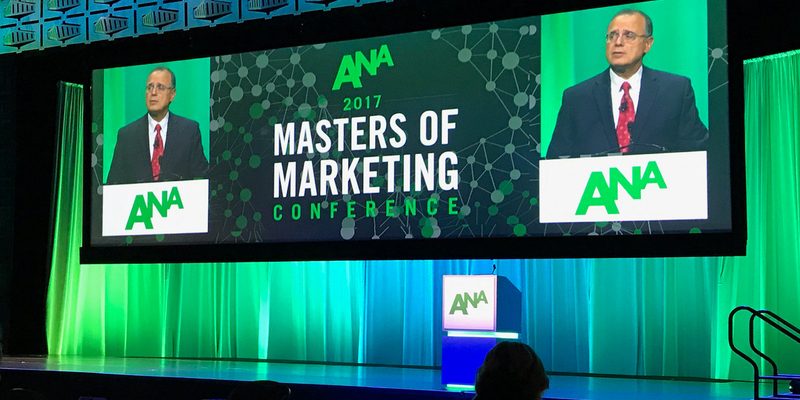 Each year, the leaders of the advertising world descend on Orlando for the ANA Masters of Marketing conference. Last week, a few folks from Traction had the good fortune of joining them. There, we were fortunate to see and learn from some of the most successful brands in the world—we are talking some serious maestros here—including the CMOs of P&G, Clorox, State Farm, HP, Lane Bryant, JPMorgan Chase, Walmart, Samsung, MGM Resorts, KFC, Weight Watchers and St. Jude’s Hospital. One after another, marketers shared stories of business success that arose from creative built on insight into people’s humanity and a sense of purpose that was relevant to their brand. For the last several years, digital ad tech and marketing automation have led many to believe that technology should be the rightful driver of marketing, but the true differentiator, according to The Masters, is creative. According to Marc Pritchard, CMO of Procter & Gamble, the Always team identified a trend that girls’ confidence was dropping when they hit puberty, and set out to change it with their “#LikeAGirl” campaign. Today, 76% of young women view the expression 'like a girl' in a positive light, whereas only 19% did before. Brand growth followed. 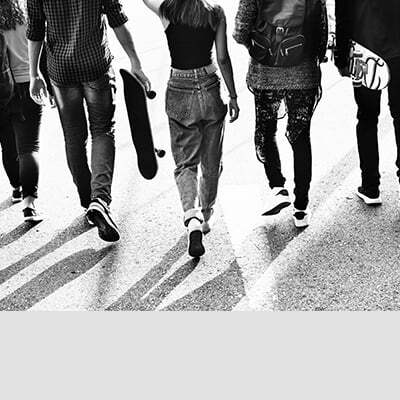 Others, from Clorox to HP to Lane Bryant, showed powerful examples of brands forging deep emotional connections and business results by being human-centric and purpose-driven. #ShortTermitis is a recipe for brand fail. Short-term thinking can drive sales, but hurt your brand. Clorox learned this first-hand when their performance marketing strategy drove a lift in sales, but their overall Return on Marketing Investment started to plummet. CMO Eric Reynolds and his team then realized the cost of blindly harvesting revenue from a small subset of their customers through unfettered direct response. By under investing in brand and bottom-of-the-funnel-feeding with feature-driven messaging and crappy digital ads, they were creating a bad user experience for a far broader range of people—and hurting overall performance in the process. They invest in creative that was driven by human insights, curbed the indiscriminate spending on lousy ads, and wound up with a dramatic turnaround in brand performance. There was aggressive frustration when it came to the digital ad tech ecosystem. 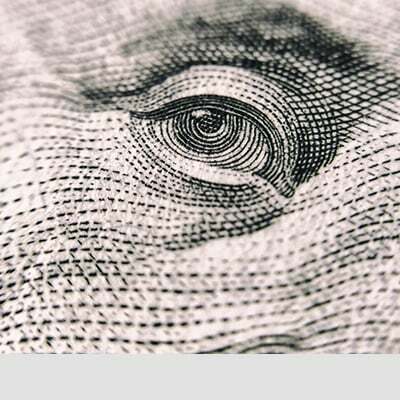 ANA chairman Bob Liodice cited that only 25% of every add dollar spent actually went to working media, while JPMorgan Chase CMO, Kristin Lemkau, said despite the industry’s focused attention, fraud was projected to climb from $7 billion to $16 billion this year. Last year, I wrote in AdAge that “Ad Tech is the Worst Thing that Ever Happened to Advertising” because fraud and consumer backlash due to poor user experience was leading to a lack of trust from brands. Apparently, I was right. According to Google, marketing’s new imperatives are to inform, engage, and assist. They shared a quote from Clayton Christensen, "Consumers hire your brand to do a job," and averred that today’s consumer is hyper-impatient so success relies on us doing that job as efficiently as possible. To do that, we need to remove friction in our customers lives. They cited a 150% lift in travel searches for “today and tonight,” a 200% lift in same-day shipping searches, and a 300% lift in “open now searches,” as evidence for this. Marketers need to craft experiences that anticipate needs and assist in removing friction that hinders people from filling them. Marketers need to speak the language of business. 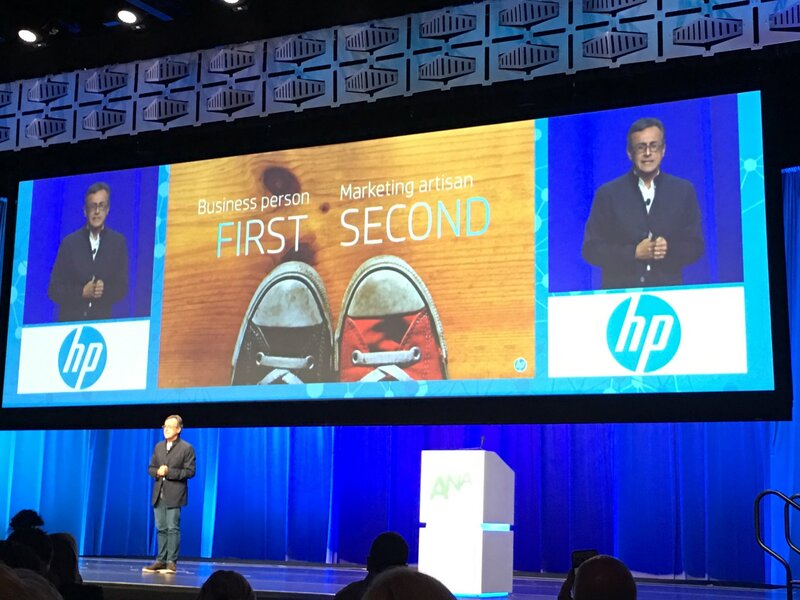 HP’s CMO, Antonio Lucio, beseeched the audience to make sure they put business over marketing in terms of their priorities. Marketing is a revenue driver, and marketers deserve respect because of it, but they will only get that respect if they understand and speak the language of business. Lucio was criticized internally because he spent his first 3 months at HP learning the business by traveling around the world with the executive team rather than spending time with his marketing team, but that investment gave him the credibility and respect to be an advocate for marketing later on.